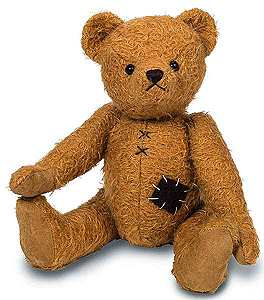 Teddy Hermann Eberhard Teddy Bear, fully jointed and made of the finest russet brown Mohair. 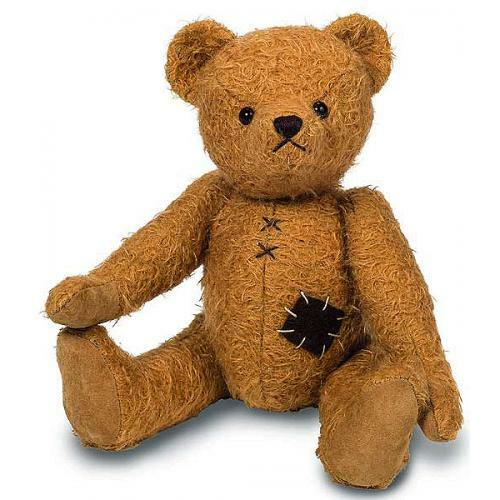 He appears as a repaired bear with his extra stitiches and patch on his body. Item number 168348, safety eyes, firm filling of wood wool , with Growler, Surface washable only, size 34cm tall.